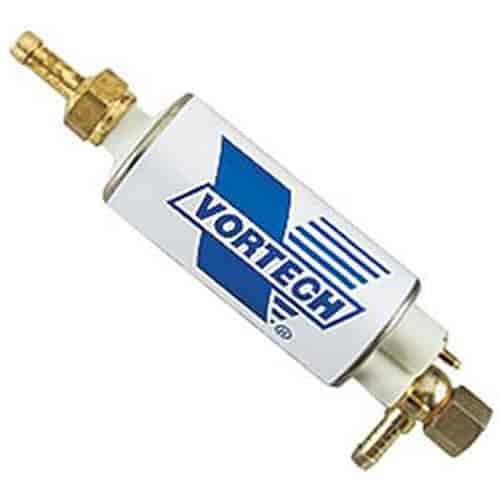 Vortech T-Rex Fuel Pumps are designed to maintain a high-flow rate at elevated pressures (50 GPH at 70 PSI). Remember, as horsepower and fuel pressure requirements increases so does the flow demand. That's why it's important to choose the right high flow fuel pump for your high performance muscle car. They are available separately or as a complete kit that includes wires, relay, hoses, fittings and template.